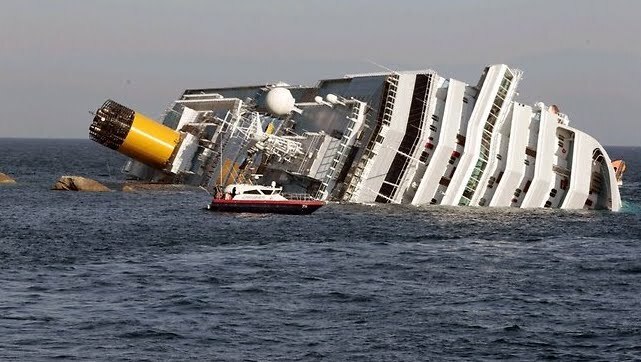 Doubtless you're familiar with the tragic accident involving the Italian cruise shipwreck off the coast of Tuscany. 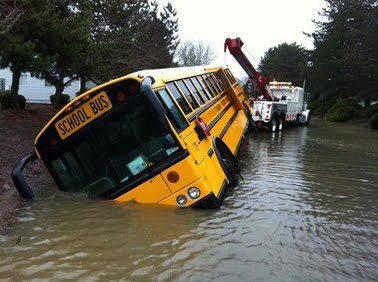 But not everyone knows that the ship's captain, Francesco Schettino, began his new job as a bus driver yesterday. hitting the rocks, it appears that Winston Churchill may have been correct in his description of Italian cruise lines. nervous about flying, and as a result, he always took cruise ships to speaking engagements abroad. Well, there are two reasons for this. Whoo-hoo, KatieJ! Glad to hear it! So sad about the cruise ship. The "captain" probably abandoned the poor kids, too! On a random note: I am a city slicker with the opportunity to get some goat and horse manure for my compost pile. I want some, what I call, muck-about boots. What do you wear out in your barn area and fields? And where do you purchase them? You have shown several ridiculous city foot wear options but I need to know about the sensible stuff!! Thanks. Brenda, I usually get my mud boots at our local feed store. Depending on how big your city is, look in the yellow pages under "feed dealers" or "farm supply" and see what pops up. Some gardening supply stores may also carry them. Even some Wal-Mart stores carry mud boots, though that may be seasonal. Almost a million people in San Jose, CA! Horrible!! But, we do have a feed store. I'll check it out! Thanks! Have fun on the radio tonight. You will do great. Oh, that caught me totally off guard! I really did LOL!